What Is an NEF File? An abbreviation for Nikon Electronic Format, and used solely on Nikon cameras, a file with the NEF file extension is a Nikon Raw Image file. Like other RAW image files, NEF files retain everything captured by the camera before any processing is undergone, including the metadata like the camera and lens model. The NEF file format is based on TIFF. This file format is sometimes referred to as Nikon Electronic File. The same acronym is used by other technology terms, too, like network efficiency factor. Windows users with the right codec on their computer can display NEF files without any additional software. If NEF files do not open in Windows, install the Microsoft Camera Codec Pack which enables the use of NEF, DNG, CR2, CRW, PEF, and other RAW pictures. NEF files can also be opened with Able RAWer, Adobe Photoshop, IrfanView, GIMP, AfterShot Pro, and probably some other popular photo and graphics tools as well. If you're a Photoshop user but still can't open NEF files, you might need to install the latest version of the Camera Raw plugin that your version of Photoshop supports. NEF files can also be opened with Nikon's own CaptureNX2 or ViewNX 2 software. The former is only available by purchase, but the latter can be downloaded and installed by anyone to open and edit NEF files. To open an NEF file online so you don't have to download any of those programs, try Pics.io. Mobile devices can open NEF files as well. Google Snapseed is one example of an app that supports this format; you can get it for iOS and Android. Another NEF viewer for iOS is Adobe Photoshop Express; you can get this Adobe app for Android, too. An NEF file can be converted to a number of formats using either a free file converter or by opening the NEF file in an image viewer/editor and saving it to a different format. For example, if you're using Photoshop to view/edit an NEF file, you can save the open file back to your computer in formats like JPG, RAW, PXR, PNG, TIF/TIFF, GIF, PSD, etc. IrfanView converts NEF to similar formats, including PCX, TGA, PXM, PPM, PGM, PBM, JP2, and DCX. Adobe's DNG Converter is a free RAW converter that supports RAW conversions like NEF to DNG, and works on both Windows and macOS. A free online NEF converter is also an option. In addition to Pics.io is Zamzar, which converts NEF to BMP, GIF, JPG, PCX, PDF, TGA, and other similar formats. Online RAW Converter is another online REF converter that supports saving the file back to your computer or to Google Drive in the JPG, PNG, or WEBP format; it also serves as a light editor. Due to how images are written to a Nikon's memory card, no processing is done to the NEF file itself. Instead, changes made to an NEF file alter a set of instructions, meaning any number of edits to the NEF file can be made without ever negatively affecting the image. Nikon has some more specifics about this file format in their Nikon Electronic Format (NEF) page. The NEF file extension most likely means that you're dealing with a Nikon image file, but you must be careful when reading the file extension to make sure that you're actually dealing with a Nikon file. Some files use an extension that's spelled a lot like ".NEF" but really have nothing to do with the format. If you have one of those files, there's a really good chance that none of the NEF openers file above will work to open or edit the file. 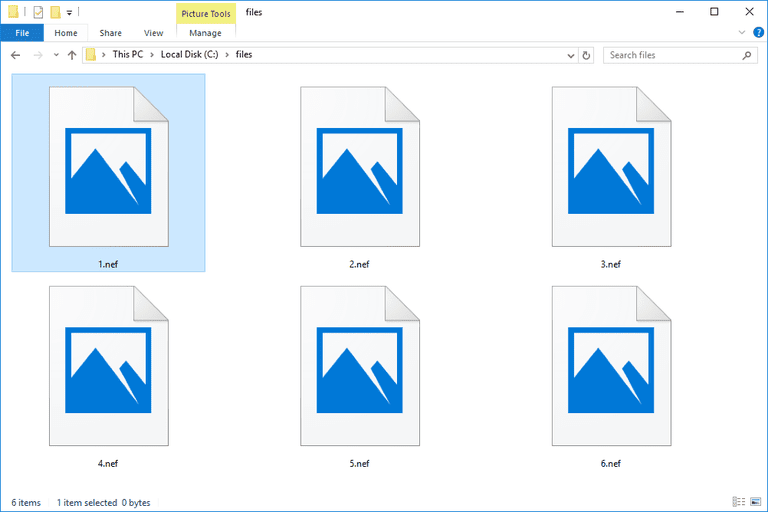 For example, an NEX file might be easily confused for an NEF file but it's not related to an image format at all, but is instead a Navigator Extension file used by web browsers as an add-on file. It's a similar case with NET, NES, NEU, and NEXE files. If you have any file other than an NEF file, research the file extension (on Google or here on Lifewire) to learn what applications support opening that specific file or converting it to a different format.